The term ‘selfie’ went from social media slang to officially-recognised noun when it entered the Oxford Dictionary in August (and was even named 2013 Word of the Year), and online electronics retailer, Kogan, is now looking to capitalise with what it calls the Zuckerberg Selfie Stick, “in honour of the creator of the go-to platform for selfies,” Facebook. The Zuckerberg Selfie Stick in its packaging. 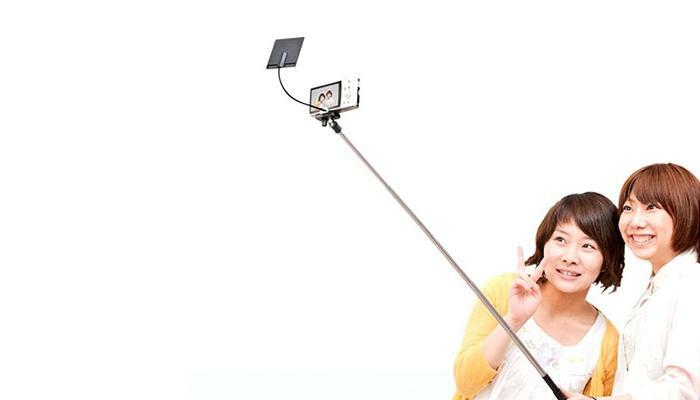 The Zuckerberg Selfie Stick is a $19 extendable pole which can be adjusted to a length of 22cm to 95cm, and allows consumers to mount a camera to the end. It is bundled with a mirror attachment which reflects what the camera sees in order to capture the perfect selfie. But Ruslan Kogan, the company founder, is not only selling the product; he has also written an open letter to Mark Zuckerberg requesting he take his first ever selfie, stating that, “If however you don’t do this, we’re going to go to plan B and call this the Kardashian Selfie Stick, as we know she’ll be up for it,” topped off by a “;)”. The first ever Zuckerberg Selfie Stick ready to be shipped to Mark Zuckerberg himself. 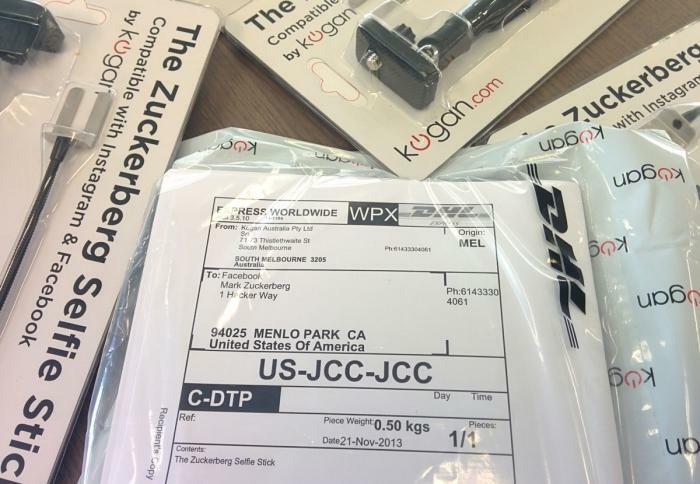 Ruslan Kogan sent the first Selfie Stick to Zuckerberg on November 21 from Melbourne, and has posted the DHL tracking information which indicates it was delivered to Facebook headquarters on November 25 at 11:55am, and signed for by ‘E. Manalo’. A screenshot of the DHL website indicating the Zuckerberg Selfie Stick has been delivered to Facebook HQ. The Zuckerberg Selfie Stick in action.